There’s not a simple answer nor do I believe my way the only way, but I have advice on how to make that happen. Essentially, there are two dynamically different, yet equally important, aspects to achieving this goal. 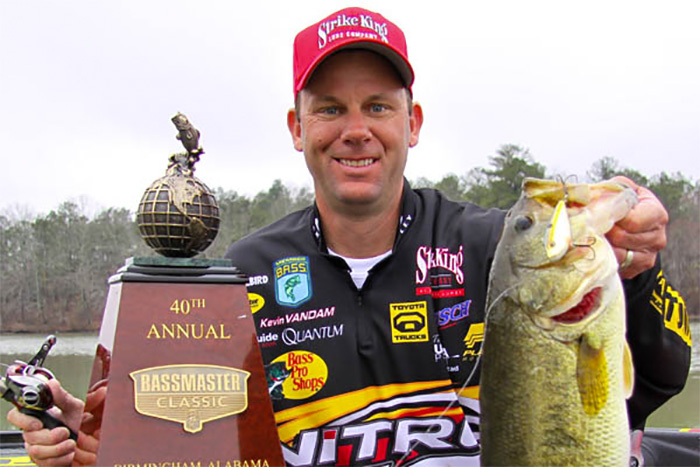 This week we’ll deal with the fishing aspect which might seem obvious, yet most neophyte bass fishermen lack an intricate understanding of how it is to compete on the pro level. And next week, I’ll cover the sponsorship and the business side that often gets overlooked but is critical to how successful you become financially and can persevere as a touring pro. Honing your fishing skills is a first priority. You have to be versatile and efficient at all techniques. Bass clubs provide beginners the best place to lay that foundation. You’ll learn something from each angler with whom you fish, as everyone has his own skill or specialty from which you can learn. 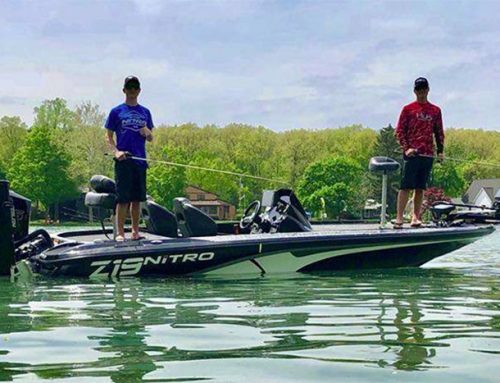 While team tournaments are fun, you’ll learn far more fishing with different anglers and on a tournament schedule that includes a variety of waters. When trying to learn a new technique, set yourself up for success. Take it to a lake full of bass and where they bite that method. Spend time learning the all intricacies and how they can work for you. High school and collegiate bass clubs provide similar opportunities. The collegiate program draws fishermen from all parts of the country and each member brings something to the table that you can learn. Becoming versatile involves more than presentations and lures. You need to develop an ability to fish competently on a variety of waters (shallow grassy lakes, deep clear lakes, muddy rivers and tidal waters), for different species (largemouth, smallmouth and spotted bass), and in different parts of the country. 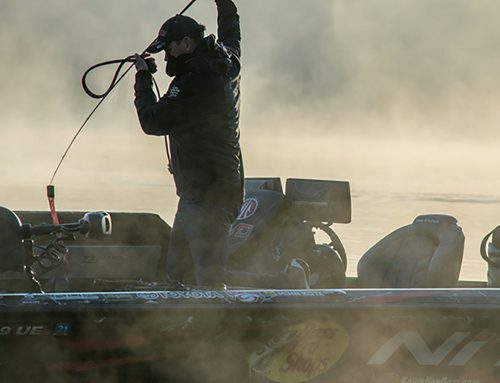 Forage bases vary widely, and understanding how each one affects bass habits is vital to becoming a professional. 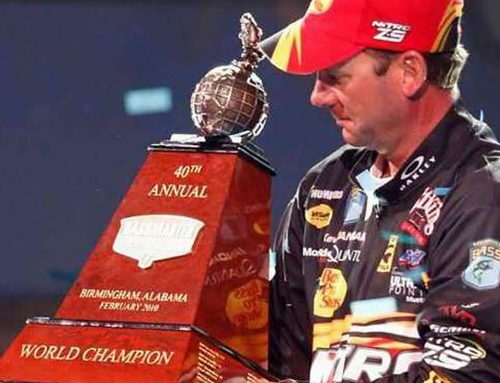 Fishing as a co-angler in larger events or marshaling in Elite events is beneficial, too. Marshals don’t fish, yet the ones I’ve had in my boat say the fact that they aren’t fishing allows them to pick up little details they might overlook if they were preoccupied with fishing. Also, the pros are more likely to explain their thought process and details because marshals aren’t competing for the same fish. You can learn a lot from publications, videos, the internet and TV, but there is no substitute for spending countless hours on the water, applying different techniques under various scenarios, and learning the subtle nuances of changing conditions. While you may be a pretty good angler on your home waters, or even in the region of country where you live, lakes and rivers around the country pose a different set of challenges. That’s where it’s valuable to fish events outside your home range. Many up-and-coming anglers sign up for Bassmaster Opens outside their region for that very reason. So set realistic goals and give yourself time to work your way up the ladder. The guys at the very top are sharks. You’ve got to be ready to do battle on their level if you hope to be a successful pro.